Retail Pro Reviews Recently Reviewed! Comments: We purchased over 15 years ago when we first opened and it was very expensive. We use a very limited amount of what it is capable of doing. POS and limited inventory control. One reason is because the report feature is not very user friendly and every time you pick up the phone with a question you get a bill. For example, why can't I run a report on my inventory balance for a previous day? Overall I am happy with it I just think I bought more than I needed. Pros: Easy to navigate and does what I need it to do. Minimal issues with the software. When we first started using it and issues would arise the support staff was always available. Cons: Needed more hands on tutorial classes up front. There are a lot of things the software is able to do, I just don't know how to use it. "Reports" feature is not very user friendly. Support staff or sales person should follow up each year with updates and latest technology and no one does. They did the first few years but not any more. Pros: It does 90% of everything we want & need. Frankly, that other 10% is probably unrealistic without custom programming. We get awesome tech support when needed, and I especially love the live chat feature that lets us ask quick questions. The product is very quick and easy to train an employee on and setting up levels of permission is awesome. We're able to delegate job duties easily with the different features. Receiving is a perfect example. That workstation is set up to be used completely differently than our cash registers. For example, we have three cash registers our of eight total machines running Retail Pro. Each has a unique function, and the software works well in supporting those varied functions simultaneously. Cons: Some of the more intricate details of the software take quite a while to learn. It's easy for an average sales associate to use the main functions, but some of the higher level features get complex. The software can be "quirky" with some old features that were added on to, so there are features that are not intuitive. An example is polling: some things happen automatically and others require initialization. Like every time we add an employee to the system, it's a process to get them into other locations and requires higher-level knowledge. Recommendations to other buyers: Don't stop at just the basic features. There are tons of point of sale software solutions out there, and most of them look great to an average sales associate. I think it's important to review the value-add features like reporting capabilities, add-on software options, availability of tech support, etc. Nearly all of the POS solutions I've reviewed are similar for the basic POS functions. Few are similar for the high level features. This is a place where I think Retail Pro excels. Comments: We pay for the software assurance and don't seem to get any benefit from the program. We haven't had our system updated anytime recently, since we have so many features that are custom we always run into issues right after updates and it requires us to have down time and constantly figure out what caused the issues. We also seem to have a problem with the follow through on projects from Granite/Retail pro. Once we contact granite with an issue it seem like it's either pushed to the side or forgotten about. When Granite is reminded of the issue multiple times through emails and phone calls they will fix the issue, it seems like we are constantly reminding them about any issue we are dealing with. We are currently trying to update our system so we are compliant with the tls from Cayan. The process started well over a month ago and the updates still haven't been installed. Yesterday we were affected by the brownout from Cayan for over 45min and lost multiple sales because of the software not being updated even though we are trying to be proactive on our end. Pros: Customization of inventory screens, printing inventory, jewelry tags customization of checkout screen. Granite Info Sys has done great work for us in the past and continue to always follow through when reminded of issues. A lot of the custom pieces of our system make our store more successful because of the features & functions Granite created. Cons: When using central gift cards, scanning cards always creates a "?" after the last number. Retail pro has done nothing to fix this issue, we have had the system for almost 4 years now and still deal with this issue daily. Granite Info Sys informed retail pro about this issue days after implementing our new system and still the bug remains. Applying updates to the software isn't easy and requires us to pay our software provider each time an update is available. Reports function, reordering capability, inventory alerts, speed of processing gift cards all lacks. Lack of customization for loyalty programs, we had a lot of custom work done by our service provider, anytime we have an issue it costs money to figure out what's wrong because it's something that wasn't available in retail pro. Lots of bugs still in the software that haven't been addressed. Pros: ECM polling replace the 32 bit polling in Rpro 8.6. In theory this allows close to real time updates to your main. unfortunately, seeing it failing for various reasons with no logs or error message to help navigate.Therefore, Never know if it works or not. The Retail Pro dealer has been helpful in trying to fix the numerous issues with Rpro. Pros: very powerful inventory management solution, full of function and features. the second thing is the scalability and durability the solution can support large number of stores & POSs in one big database "oracle database". Cons: it takes much time to recover database especially in the main server, 2nd thing when upgrade from old release to a new one with large number of stores and POSs. Pros: The simple structure of the POS. Very easy to learn. Cons: The EFT module. Cayan is HORRIBLE!!! Please go back to Shift 4. Better support and nicer devices. Overall: I have been working with R Pro version 8 from 2003 to 2015 with Valentino and now with version 9 with Philipp Plein, as far as a retail system, from both the POS and the logistic side, its an excellent software. Easy to manage and use. The ONLY downfall is the EFT. At the POS, you really need to have a good, reliable, and when working with luxury retail, a sleek device to expedite EMV transactions. The 2 options offered by Cyan , your ONLY EFT choice, are for mass merchants, not a luxury boutique. As far as support, One Step Retail has been my partner of choice and they are second to none in support and sales. Over the years I had many special requests from upper management, and OSR were very quick on assisting and "making it happen". 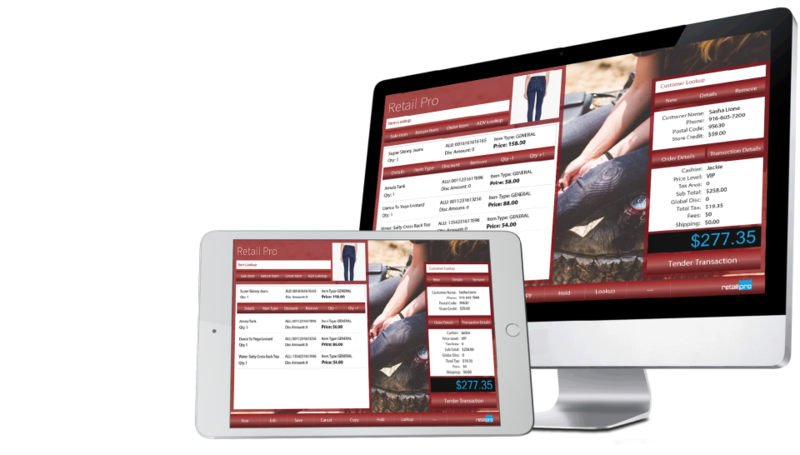 Pros: The Retail Pro product and Big Hairy Dog are unique in a number of ways: 1) The product has unmatched functionality that allows users to manage just about every conceivable aspect of a retail business (fashion, in our case) in a highly flexible and customized manner. 2) The product is mature and, as a result, is extremely robust. 3) Retail Pro is very active and responsive with their support program. Bugs are addressed in a timely and efficient manner. Extensions to the product occur on an ongoing basis. 4) Big Hairy Dog are an excellent distributor of Retail Pro. They are well established and have a large team of highly skilled professionals providing service and support on the Retail Pro product. Their knowledge and experience in both Retail Pro and POS generally is unmatched. Cons: The user interface of the product could be more intuitive. Recommendations to other buyers: Determine your selection criteria against which you want to evaluate the different offerings. Make sure that you are clear on the functions you want demoed by the prospective vendors. Ideally, develop a demo script. Make sure that the product you select is robust. POS is a mission critical system for retail, and no downtime during trading hours can be tolerated. Pros: After using Retail Pro ver. 8 for 13 years, version 9.4 does have some extra features that make getting needed information inside the program without running reports. You can customize screens and documents. The software is fairly intuitive. Conversion from version 8 to version 9 went smoothly without loss of data. The check in/out function of the software is improved in 9.4. Maintenance of data is much easier in this version and corrections can be done while users are using the software. Cons: Retail Pro version 9.4 is VERY, VERY slow. The Purchase Order piece of the software has many bugs and the company is not responsive to fix them. 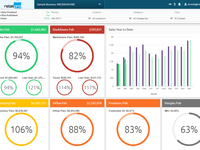 The reports are inadequate and no customization is allowed without purchasing third party software. Even with third party software, the average user would not be able to sit down and customize a report, let alone create a new report. Basic information is unavailable in the reports delivered with the software. Retail Pro gives us a competitive edge! Pros: Our operation is very seasonal, and we gear up from 0 to 100 in a short amount of time. The accuracy the system delivers for inventory management gives us the confidence to make rapid decisions that impact our bottom line. We especially appreciate the level of support that we receive. That level of trust in the product and support is important for us since we have such a narrow window for our business. Cons: No software is perfect. However, our experience with Retail Pro has been significantly better then our previous vendor. Our least favorite thing about the software is how it behaves with our unique discount structure. However, we have found ways to make it fit our operation. Recommendations to other buyers: If you operate in a seasonal (and remote) environment like ours, it is very important that you find a good support partner. We have found that there is a lot of work behind gearing up for our store openings, and our limitation with dial-up has been a challenge. These were compelling reasons for us to move forward with Retail Pro. Our business model is fairly diverse (not just retail). Retail Pro has been extremely flexible in trying to open up integration opportunities for the other software packages we use. Pros: It has nearly everything you would expect it to have for a retail store, whether it's brick and mortar or an ecommerce, in terms of functionality and features. Cons: I only wish they had a version for a wholesale store instead of retail but hence the name. Essentially the exact same thing but with features for quantity and bulk. Comments: I have been a Retail Pro Admin now for years. I know that if I ever have an issue pop up, I can call my RPro business partner at any time of the day, even 2 am, which I have done. I get the same high quality and knowledgeable support I need at the time. V9 is horrible. V9 reports are total disaster. Comments: I have built two business' using Retail Pro reports. I recommended it to every retailer I met. I could change reports to get all the information I needed to make good decisions. With V9, reports seem to be pretty much be in stone, unless I want to pay an exorbitant amount to have each one created. In V8, I could create whatever I needed in minutes. I don't comprehend how with all this new technology, we went so far backwards from where we were. V9 reports have cost me dearly. If not corrected, I will have to find a better option. Pros: I have used Retail Pro for about 15 years, so I am very familiar with it. Rtech customer service reps are knowledgeable and easy to work with. V8 was awesome. Wish I could go back! Cons: V9 is slower and harder to get around in. Reports are the biggest downfall. There is not even a simple sales tax report, nor any type of customer reports for companies. 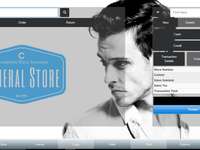 Pros: The best part about Retail Pro is the user interface with the touch screen capabilities for our stores. It gives sales personnel the ease of access and a touch screen that is fluid and fast to use. I also like the ability to change the layout to any way we may need throughout the scope of our stores. The best part I like about retail pro is our vendor, BHD; they are the best Retail Pro support team in North America, hands down! They are friendly, professional, and very knowledgeable on how it works and what features are best to implement for your business. Cons: The reporting features can be a bit confusing, but with the right support from your retail partner and trainers, these all can be modified to do pretty much anything you need to report with ease. Receipt layout can be a bit challenging, but it gets easier with time as you use it more. Recommendations to other buyers: Make sure you know the needs of your stores first. Retail Pro has many features that can be finely tuned but, it helps knowing what you will require far in advance before you launch this POS in your stores. Pros: We have been using the software Retail Pro for about two months now at our single location, which is a Swimming Pool retail store. Since the day we first launched the software, we have had such an easy time conducting business with our vast customer base. Ringing in sales have never been easier, and we can now, for once, really track our sales by department and so much more. The software was very easy to learn and J.D. Associates was a big part of that! Their training process was not only well-performed, but our teacher made it fun as well! I'd recommend RetailPro and J.D. Associates to any entrepreneur or business manager! Cons: I can't think of anything at all. There is nothing to date we dislike, and I can't see us ever changing our views. Recommendations to other buyers: We researched five different companies, including two software companies that offered software that were tailored specifically for our industry, and we chose Retail Pro. So my recommendation is to take a really good look at all they have to offer before making your final decision. Pros: I guess it technically runs. Beyond the fact that it's easier than using a pen and paper to keep track of products, there is nothing I like about this software. Cons: It is disorganized, inefficient, difficult to use, has memory leaks, no database support, closed-source and expensive to upgrade, bizarrely laid out, and just overall a pain to use on a day-to-day basis. Overall: Nothing. I loathe this software and I wish its developers absolutely nothing but the worst. Hello Benjamin. We¿re sad to hear you aren¿t getting to experience the best of Retail Pro. Are you on a very outdated version of Retail Pro software? Please contact us at customercare@retailpro.com and let¿s see what we can do to get your problem resolved. Pros: We have been using Retail Pro for a number of years now and have been partnering with J.D. Associates, Leominster, MA since the start. J.D. Associates have helped up with moving us from Retail Pro 8 to RP9, as well as their normal day-to-day support. Because of the uniqueness of our business, we often have odd uses or requests of Retail Pro, but J.D. Associates helps us work through each request and challenge to help us move our business forward. 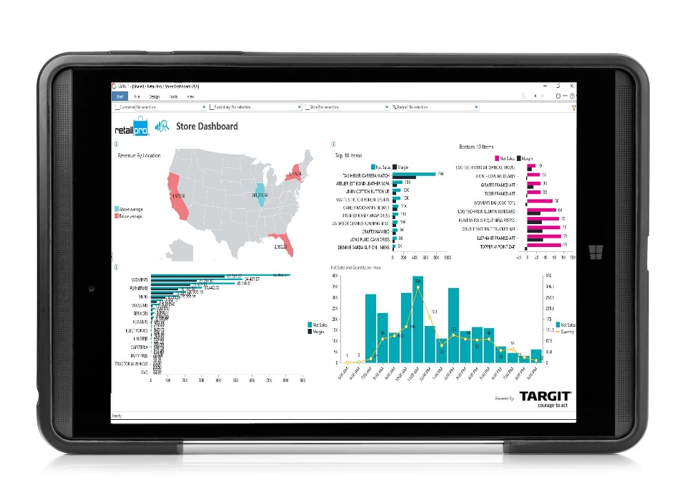 Cons: There are shortcomings with Retail Pro 9 reports. This is a known issue and shouldn't be a surprise. Other challenges we have seen could be due to how our system is configured, but we are working through that. Recommendations to other buyers: If I were looking at installing Retail Pro, I would definitely look at the partner who would be supporting me because the software is only as good as those who are supporting it. In my opinion, J.D. Associates has been a great partner for us in the support of Retail Pro, which is what is needed. Pros: Retail Pro provides a great POS system that allows me to track down inventory in my store and also lets me see instantly what other stores have in stock in case a customer is looking for something I am out of. One Step Retail has provided great support to all of our stores, including the installations for our new stores. Cons: I wish there was a way of detecting when someone does not have enough funds on a prepaid credit card, because we get a lot of tourists in our stores. Sometimes there are a few glitches with the system, but our support is always quick about getting back to me. Recommendations to other buyers: I would absolutely recommend Retail Pro because of everything you have at your fingertips. There is so much knowledge to gain through inventory control. I can instantly view the quantity of our products in stock and compare it to other stores so I can let a customer know what's available. Then, if it is not in stock at my store, I can find the location that has it available. Big Hairy Dog is Top Dog in Glamour House's Book! Pros: Hands down, what I like best is that our service is through BHD. I purchased Retail Pro in 2003 and have had bumps along the way (e.g.-hard drive crashes, lost data/backup issues, questions on operation, etc.). Customer support has always gone over and above the call of duty to solve my problems in a friendly, efficient, and cost-effective manner. Also, it is comforting that their support staff have longevity in the company. I also like the intuitive features of use and easy integration with Quickbooks. Cons: I am concerned that at some point they will no longer support Version 8, and Version 8 works just fine for us. We don't want to be forced to buy more than we need. Recommendations to other buyers: Contact users before buying. Understand the full workings of the software, reporting, and accounting integration as well as possible before buying and make sure it satisfies your needs. Comments: We've used Retail Pro (v8) for 11 years now, and it has served us well. There are features we do not use, but the program fills our needs very well- inventory, vendor & customer management, reporting etc. Pros: Versatile and straight forward to use. Many 'out of the box' POS programs are too rigid to adapt to the unique needs of specialty retailers. Retail Pro handles this very well. While there are features we feel we are doing without, no other program offers us the flexibility in the ordering process we need. Cons: Room for non-tech savvy users to get into trouble. Tends to lag a bit behind the leading edge of technology. Cons: In this software we can costomize any thing like i want also security permission setting is good. 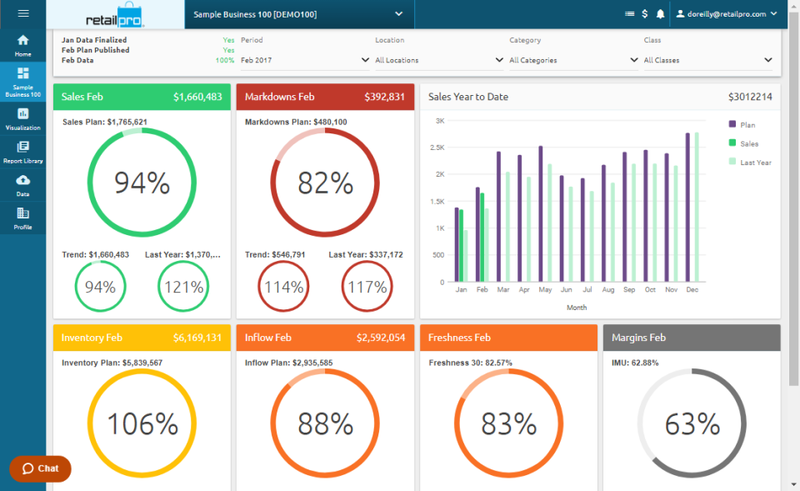 Pros: Retail Pro is highly customizable, powerful, and scalable for small-to-medium businesses with one or more locations. Our support is through Big Hairy Dog, who provides great support with knowledgeable techs and sales staff. Cons: It is not cheap. The licensing and maintenance fee model is cost prohibitive for smaller businesses looking for a simple way to ring sales and track inventory. Recommendations to other buyers: If you are a one-store, one-register shop, there are other software packages out there that can serve as a glorified cash register for a lot less money. But if you are willing to make the investment both in time and resources to take advantage of the wealth of features and customization options, Retail Pro is great for either a small business looking to expand or a medium-sized, multiple-location operation. Retail Pro & J.D. Associates -A Winning Combination! Pros: Retail Pro and J.D. Associates are the total package! As our business continues to grow, they provide the necessary software/hardware, training, and all-around retail solutions to help us achieve our goals. Email updates keep us well-informed of industry changes, as well as any new products available that will enhance our POS experience. Webinars are also offered as an integral part of our training experience. I can always count on their expertise and professionalism to keep us moving forward. Cons: Not having ability to "edit" the preloaded report formats to suit our needs. Recommendations to other buyers: For any size business requiring a POS solution, Retail Pro is a straightforward, menu-driven, and user-friendly option. Pros: First off, we have really enjoyed working with Big Hairy Dog for the last five years. We have an awesome trainer, who is fantastic on his followthrough, which is extremely important in the retail business. Our support rep is also very quick to respond when we need technical assistance. The software is very user-friendly and so diverse, covering most of our needs at the WOW. Cons: Being my first time using POS systems, I have no complaints because of the training that we had from the very beginning. I have also talked with other Retail Pro customers, and they all feel the same when using this product. Recommendations to other buyers: Give us a call, and we will be able to address any of their concerns. Or call other Retail Pro users. Pros: A cloud-base POS that helps all transactions, including an "offline" mode in case you do not have internet at that exact time of need. You can print or store your transactions so you are in control of your own accounting. Cons: I'd like to see customer support a bit faster ( we are dealing with money after-all), and although the system is customizable, I think it lacks with information in some of the reporting. Comments: Server based is outdated. Pros: Robust, and reliable we have used it for more than 30 years. It has served our store well over the last 30 years. Reporting is good. Pros: Retail pro is a decent software for a consignment store. It is fairly simple to you and has a smooth layout. Cons: My cons with the product is that there is more products out there like it with newer layouts and easier to use. Pros: I like the ease of use and the availability of the Retail Pro and One Step Staff. One Step Retail Solutions has shown me and the GCU Team Shop that they are committed to providing us with the highest level of customer satisfaction possible. They have worked with the GCU Team Shop on our mobile store and provided continual support as our store has evolved. Cons: The system is easy to use, but I know there is so much more to our point of sale system. I wish there were classes or webinars offered for free to explain how to use more of the features. Recommendations to other buyers: Do your research. Compare brands, ease of use, functions offered, and price. Pros: The software is packed with features that I have yet to find in other software on the market, including multiple ways of handling employee compensation (eg.-SPIFs, different commissions for different employees), fully customized screen layouts, and most importantly the ability to do quick mass edits using the CTRL+F2 function on the inventory grid. Cons: Sometimes the software can slow down when too many users are logged in at once. Recommendations to other buyers: If you are evaluating RPro, have someone from the sales staff walk you through the use of filters. It is amazing how you can drill down to the most relevant info with just a few clicks. Pros: The response time from service department is very good. It covers all categories for us. Layaway, special orders, time in/out, etc. Cons: They charge per seat. If you use a main server to control the points of sale, the server is considered a seat. I know it is hard to have a billing structure for different types of companies, but small independents have a tough time. Recommendations to other buyers: Make sure that they can service any problems when they come up. Many companies are only available during the normal business week but retail is open seven days a week, early to late. If you have a problem on the weekend and are told to call back Monday morning, it is way too late! Retail Pro and Big Hairy Dog are best in class! Pros: Retail Pro is well developed, from an end-user standpoint. We don't experience system problems, and they continue to update and enhance routinely. Big Hairy Dog's support is fast, friendly, and - most importantly - knowledgeable! Cons: We have been exceptionally happy with both for 11 years! Recommendations to other buyers: Look at the back-end data handling of the programs being considered. How fast are commands processed, whether it is a filter or report being run. Also, in reporting, how flexible is the program in modifying and creating reports. Retail Pro v9 with the integrated Crystal reports allows you to create a report on any/all data fields in the Oracle database. 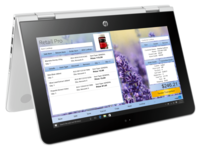 Comments: RPro is easy-to-use and works as a POS system in retail. Visually, it's outdated and the UX can definitely be improved. It's pretty quick but has its glitches, one being gift receipt printing. When printing gift receipts, you have to print it a few times in order to get the items you want on it. I've also used MindBody as a POS and found that superior to RPro. Pros: Retail Pro is an amazing system. The reports are so easy to understand and use. I get all the information I am looking for with simple reports. The service is above and beyond amazing; the techs are always there to help and answer any questions. They are really a great great company. Cons: The only negative I have is that in the entry process, you must go to a different screen to add a picture to a matrix. Recommendations to other buyers: Really understand your needs and what you are looking for. And be dedicated to the project of Retail Pro, because - if used to its full potential - it is an amazing tool to run your business. Pros: Love this POS system, very easy to navigate, easy for the beginner when someone has never use a POS system before! Satisfied customer from the first! Pros: Their training is expert; their customer service is the best. This is why I go back over and over again to a vendor. If they treat me right, I will be their lifelong customer. They are the best when it comes to customer service. They stand behind everything that they preach! Cons: I cannot think of anything that I do not like. They have always been attentive to my needs. I have had no problems ordering supplies, or getting tech support. They have my back! Recommendations to other buyers: Have them do a demo for you. You will be sold on the services they provide- tech, supplies, and cookies! 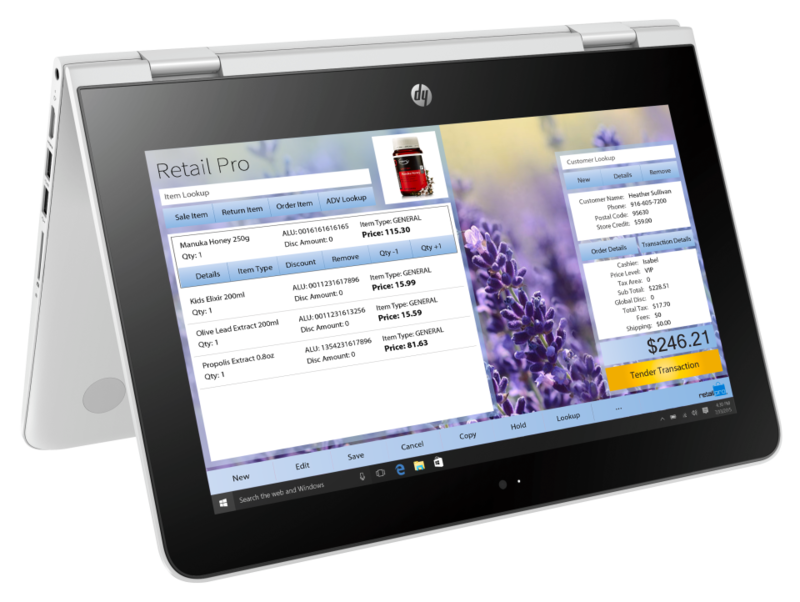 Pros: Retail Pro is easy to use at Point of Sale and in the back office. New employees learn the system quickly because it's very user-friendly. The customer service and tech support is outstanding. Cons: The only thing we wished our version of Retail Pro had would be better statistical analysis. It is available on the new version, but we would have to do a complete switch over. Recommendations to other buyers: Make a list of what is important for your business and try to use each product in a demo state so you can really see it hands-on. Ask other customers their likes and dislikes about the product and the company. Pros: I like how i can customize almost anything on my business through Retail Pro, they give me options to improve my business even more. Cons: There are no major issues on this software. It performs pretty well as far as i am using it. I highly recommend it! 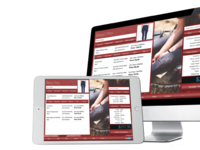 Comments: We own a retail clothing store in northern British Columbia, Canada and have been using Retail Pro for 5 years now. We have always been very satisfied with its ease of use, intuitiveness and overall user friendliness. Their techs have been responsive, available for consult every time I've had to call. 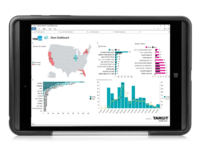 They've always fixed or helped develop reports tailored to our needs. I tested many many different POS software programs before finally deciding on Retail Pro from our Canadian Vendor; Canadian Retail Solutions. Implementation was as painless as using a brand new software could ever be! I would recommend Retail Pro to any retailer, big or small. Pros: They OneStep team is thorough with a capital T. The product is extremely robust, putting all the important metrics a click away. Cons: The biggest downside to V9 vs V8 is the speed. V9 is significantly slower. One other big downside to the RPro software is it limits your third-party options. We are stuck using only one CC processor, which ties our hands and limits our ability to get the best possible deal/rates. Recommendations to other buyers: Invest the time to do your research. RPro has a lot of features and reporting that I haven't seen in other systems. Comments: We have been using Retail Pro for over 12 years when it was a DOS system. We have 9 retail tobacco stores and I purchased the system for it's multi-store functionality. It is great when it comes to receiving product and distributing out to the stores. I can see what each store needs, and distribute to all stores in one screen. However, for five years I've been trying to get it integrated with my accounting package, QuickBooks, and it doesn't work. They will tell you is does, but it doesn't. The poll display is a waste of money. We paid thousands of dollars for their yearly registration fee and got nothing for it. Then we were told we needed to go from version 5 to 8 if we wanted support. They made no effort to tell us about bugs or upgrades to the system each year and they are still like that. I can't tell if it's the reseller/support company, Data business systems or if it is Retail Pro. I have called Retail Pro directly to try to get issues resolved and they never got back to me. Gift certificates are very difficult to do, you need to remember to put in a negative when you sell and positive to redeem. I don't understand how over 30,000 companies can use this program. It's good but not great! Pros: The biggest change was having tighter control on inventory, needing less inventory, and generating more sales on a smaller inventory value. That's pure profit! As our store really began to take flight, we built a great partnership with One Step Retail Solutions and have been going strong with them since 1994. Cons: There isn't much I don't like about the product. It is very user-friendly. Recommendations to other buyers: Plan carefully; think of how to do things differently to maximize the POS system. There are so many features to choose from! Pros: I like the accountability and availability, the pleasant customer service with patient providers, and the long-lasting hardware. Cons: It would be difficult to state a true "dislike." Obviously, they treat their employees well and/or have a good product because of the consistency and long-term tenure of their staffing. I would like one improvement in the format of their sales and on-hand inventory reports having the ability to be combined or melded. Recommendations to other buyers: Make use of their experienced staff and ask, ask, ask. Pros: Retail Pro Version 8 - flexibility in the product mix we sell; by the item, weight, or volume discounts. Big Hairy Dog - response time is great! Things are going to happen, and when it does, we know that our support team at BHD will respond and get us back on track, day or night! Cons: The issues that seem to limit reporting capabilities are addressed in the upcoming upgrade version. Recommendations to other buyers: Use the demo of the upgrade version 9. Talk to current users. The improvements and flexibility look to be helpful. Comments: My family has run a outdoor equipment and clothing store in Banff, Alberta, CAN and have been using RPro for over 15 years. We have found it to be a great program for small businesses with few store locations. After a couple of hours, most of our staff find the program easy to use and overall quite user friendly. After testing and trying different POS systems, we've found the inventory management, merchandising features to be quite useful and straight forward. I would recommend Retail Pro for any small or big retailers. Pros: Retail Pro continues to be updated with time. My vendor, BHD Information Systems, is proactive about their customers being happy with Retail Pro. Cons: Some basic features could be easier to use (e.g.-Sales Orders/Gift Cards). Recommendations to other buyers: Retail Pro works great for a retail environment that needs to have the ability to look at inventory items as an individual item as well as grouped by style. For example, in footwear, we have the ability to group by length and width. Test for Growth Strats and the perception behind it. Pros: I like the core set of products and customer service. I'm easily able to integrate it into our system. Cons: The price isn't great. It wasn't that easy to learn for most of the team. The system crashes at unexpected times. Recommendations to other buyers: Test them out and ask lots of questions. Read the reviews. Poll those who'll be using it what they need/would like to see and poll those who work with those in this function to gather intelligence too. Pros: We have recommended Retail Pro to a couple of businesses because we love this program. JD associates is a great vendor to work with; they are always there to help. Cons: There isn't anything that I can say negative about Retail Pro or JD associates. Recommendations to other buyers: Retail Pro is very easy to navigate through. There are a number of options to choose from to get all the information and reports you need to run a successful business. Pros: I find it very user-friendly and very visual with the layout. The vendor always responds to questions and is always willing to help. Cons: Nothing that I can think of currently. The product is very easy to use, and the vendor is always there to support and provide whatever is needed.